0.0.0.1 “The Android users are more loyal, consistent and the loyalty rate was around 91% in 2017 in compared to 86% of iOS users. 2015-2016 was also have been good for Android OS around between 85-90% users”. We all can say that Android is one of the finest device OS in terms of usage, customizations, wide-range of app, games, tools, and the user accessibility. It is also an Open-Source Project so developers and device manufacturing companies are improving their researches every day. Whereas, iOS brings new featured updates, user accessibility, enhanced and optimized performance etc. But here is the fact that Android users are now getting bored of it in the name of customizations and frequent updates and Android Users Switch to iOS gradually. “The Android users are more loyal, consistent and the loyalty rate was around 91% in 2017 in compared to 86% of iOS users. 2015-2016 was also have been good for Android OS around between 85-90% users”. But now the iOS devices like iPhone is getting much more response and stock clearance by people, especially by older Android users. Surprisingly, iPhone 8/8 Plus was the most popular model which has been sold over 40% than the previous generation in last six months. 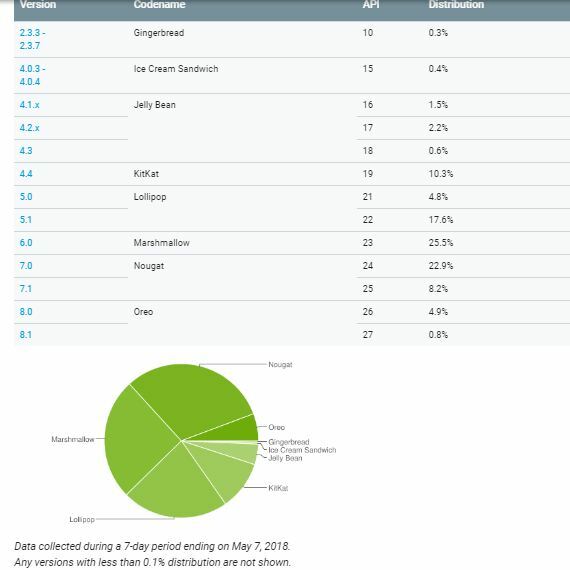 The best part is that 40% was almost Android switchers, according to the survey. The iPhone 7 was also the most selling smartphone before the launch of iPhone 8 model, which is still around 25% and almost 10-15% is Android switchers. The iPhone 6S was also sold over 15% in that period. But the Apple have lost their popularity among the existing iOS users due to late updates and higher priced newly launched models. The iPhone SE has a surprising result among these. Though this model is similar to iPhone 5S and 5S was one of the popular devices of its time. So the company decided to make that model again with a different name and some extra features. The survey showing that most of the new and existing Android users are interested in buying iPhone SE rather than the other device under Rs. 20K. The iPhone SE is still available in the market and acquires around over 10% of sale in last six months. Here the best part is that the selling number is 2X more than the iOS users. Now the latest and higher priced iPhone X is the most popular iPhone yet to grab the attention of the Android users and manufacturers also. The display notch, 3D Face Recognition, No Fingerprint sensor, No dedicated navigation keys, finger swipe gesture, 3D Animoji etc. all are the main features of iPhone X. After the device launch, all Android manufacturers copied that notch display, 3D Facial Recognition, Animoji, finger swipe gesture etc. Apple is the first company who made the iPhone X without any bottom chin and now all other companies are trying to minimize the bottom chin area. Now, these figures are indicating that the huge amount of Android Users Switch to iOS and it’s counting. Apple always run huge marketing campaigns and advertisements to grab the Android users’ attention. Though their pricing is high, the distribution level and stock availability are always sufficient. That’s why their R&D team is taking time to develop and invent something new and that’s why the pricing of iPhones are higher than expected. Android is free to use and easy to customize. That means it carries too much bloatware, malware, unsupported apps, games, docs which slow down the Android UI. Only a few smartphones are getting latest security patch updates. That’s not a big deal for a normal user, but if you’re a tech lover or geek then it might cause you to get upset easily (depends on user experience). Android device hardware isn’t capable of running two years later updates or you can say that Android ROM isn’t optimized and improved to run a two years old smartphone with the latest version. Whereas, Apple is rolling out the latest iOS 12 Public Beta update to all older iPhones, iPads, and even iPods. Though your device is capable of getting future Android updates, the developers and manufacturing companies aren’t interested to roll out a stable fresh update quickly. Apple also uses the public beta update for newly launched iOS version to get the customer feedback and issues regarding it. Apple does this job really well and releases stable bug-free version as early as possible. Whereas, Android users waited for a long time (even for years) and then they get a normal update which doesn’t include any feature. If you get a beta update then you have to wait for a stable bug-free update for long and if you get a stable update then you might find that there are so many bugs and the quality issue remains in that version. You will literally get upset or frustrated. We usually talk about the iPhone battery draining issues but what happens with Android users who have a massive 3,000mAh/4,000mAh battery and still can’t use for a whole day. That’s because of the background running tasks, and other connectivity usages which are a really big problem than the smaller battery size. 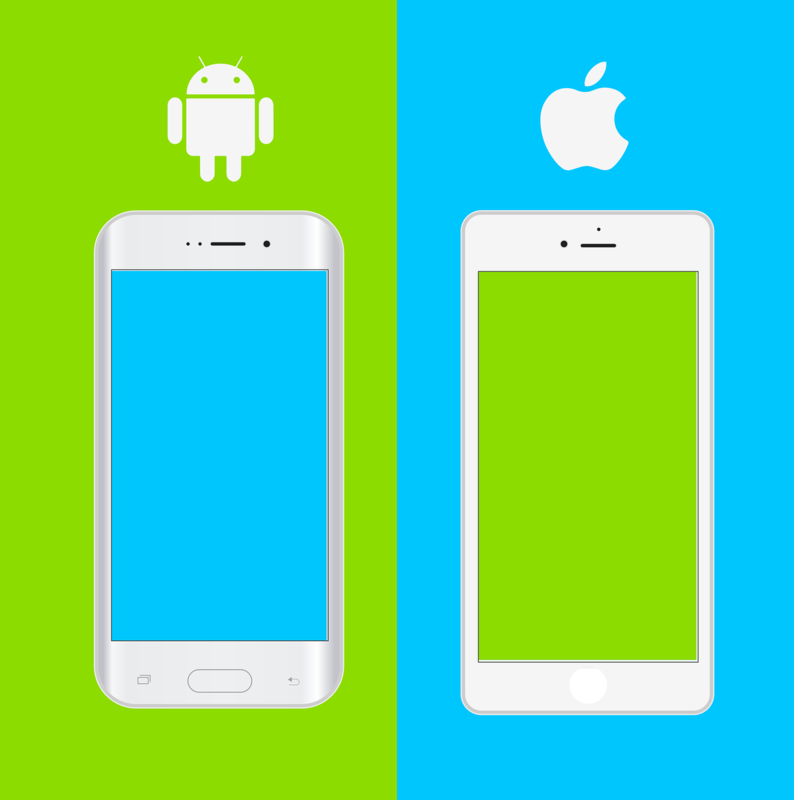 The improved and optimized Android version and User Interface is only seen in flagship grade smartphones. Even the powerful processor, GPU, CPU, and the decent amount of RAM and internal storage can’t fulfill our expectations when needed. But an entry-level iPhone or iPad will do all the things easily and smoothly without having 2GB/3GB/4GB of RAM, huge internal storage, and the MicroSD card expansion. Most of the Android smartphone manufacturing companies normally rely on what Apple will do and they will implement those developments very easily (cost-cutting also). Example – iPhone X.
Smartphone selling/distribution and stock availability issues. Apple is very focused on marketing and stock availability. But some of the Android smartphone companies release a new device in every single or two months instead of assuring the stock units. Example – Xioami. As I mentioned above that Apple is rolling out the latest iOS 12 Public Beta update to the iOS users and even to iPhone SE model. But till now so many recently launched Android phones don’t get Android Oreo or recently launched Android P Beta as well. So many old devices still running on KitKat and Marshmallow as their hardware and internal storage isn’t capable to run the upper version. What do you think about the mentioned points? If you’re using Android device then definitely all of these mentioned points will be acceptable for you also. What are your expectations from your smartphone? Leave us a comment below.